Home Fitness Locally Amazing – Millets – Honest & Local Food (Protein) for the Active! 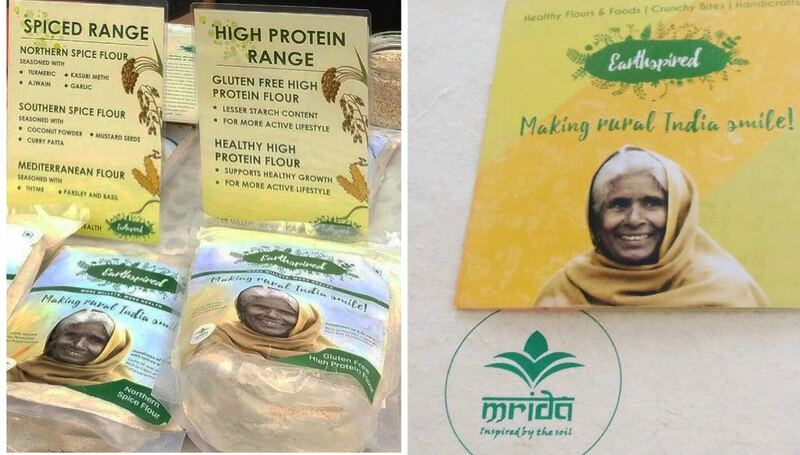 Locally Amazing – Millets – Honest & Local Food (Protein) for the Active! Back in April, I came across a stall by the name of Earthspired! Two young nutritionists, zealously making people try their sweet and salty savories. I liked the energy of the two girls and visited the stall. I saw a fairly limited yet interesting range of Millet Based products which, it struck me, especially caters to my tribe of runners, swimmers, cyclists and basically every kind of gym and fitness enthusiast! They are categorized as small grass seeds. More locally known as Bajra, Nachni/Mandua/ Ragi, Jowar, Thennai, Varagu and many adding to the list! Also I hugely propagate local foods (No, not another Rujuta Diwakar in the making). But isn’t it common sense to pick the naturalness and the best of what comes from our very own local soil? It’s high in protein (makes for a great vegetarian resource) and a smart carb! It has a relatively low glycemic index and is high in fibre which basically means that it does not increase the sugar level in our blood. Millets also produce lower blood sugar levels than wheat or rice. That further means you will not gain weight because of it, you might actually lose weight. But what am convinced most about it is that it is eaten by the strong people living in the foothills of Himalayas in Uttarakhand – which makes it a great power food for people looking for sustained energy in their bodies. I am always on the lookout for great natural sources of Protein (click here for my recent article on natural sources of Protein) – this looked like a brilliant option to try! I picked two things from Earthspired- off the rack. One for making my chappatis and one for making healthy bites like chillas (especially for breakfast). You can have any kind of veggies slightly sautéed. I use mustard oil. You can add any kind of lentils too – I usually have the black channa dal or the lobhiya to go with it. Mix them all – add some salt and there you are. It’s really simple and truly healthy. In the first pic – the white batter is the chilla flour mixed with water. After cooking it (just like you make Dosa). Add the sauteed veggies, any chutney and make a wrap! This is how it finally looks like! Tastes good, and I know for sure that I am putting something very healthy in my system. It’s also a good tiffin option for kids (you would like to add a bit of tomato ketchup for the kids though). The pics from left to right are how this shaped up! Healthy High Protein Flour – This is truly for the fitness enthusiast in me. This is multigrain flour with 35% healthy millets, full of Amaranth. This is as simple as it gets. I do it for my lunch and for my kids too. It’s light and you knead it just like any other flours. It tastes like normal flour so no particular sacrifice on the taste part of it. I found these very easy to use. As mentioned by the Sports Nutritionists at Earthspired – these make for great post workout meals. Two chappatis of healthy high protein flour in a meal will provide approximately 50% more proteins, 85% more dietary fibre, 20% more iron and 60% more calcium than the whole wheat flour chappatis and of course smart carbs to replenish your energy stores (Glycogen) . Earthspired is a brand by the Mrida Group. While you can read about them by clicking here – It’s nice to see that their products are manufactured at the facility working on women development and empowerment (Swami Sivananda Memorial Institute) for manufacturing products as per FSSAI guidelines and thus, creating a sustainable livelihood for women. You can order their products on Amazon by clicking here. You would need to type Earthspired on Google Search. If you happen to be in Gurgaon on a Sunday morning then do walk into the Gurgaon Farmers Organic market and check them out for yourselves. P.S. – This is a review. I’ve been using these products for over two months now and happy to recommend them!